Nature tourism in Slovakia seems to be an effective tool to support nature conservation, as well as all around the densely populated Europe, where a lot of people seek to experience intimacy with nature. Generally speaking, nature tourism allows regions to benefit economically while maintaining their natural values and providing a chance for nature. Simultaneously it creates conditions for the development of local communitites, their traditions and culture. With the aim of combining nature conservation, regional development and nature tourism into a single unit, the Slovakian Aevis foundation implemented the project “Chance for Nature, Chance for the Region” financed by the Slovak Government. Following a series of meetings on nature tourism in several locations all across Slovakia, the final meeting took place in the capital of Slovakia, in mid-March 2019. The European Wilderness Society was invited to present experience with visitor management and natural tourism in European Wilderness. The focus of Aevis Foundation is to build a strong initiative for the development of nature tourism in Slovakia. The project started in October 2018 with the aim to provide a cross-sectoral platform for discussion. It brought together representatives from nature conservation and regional development, as well as the forestry and the tourism sectors. The final meeting provided room for experience exchange regarding nature tourism, nature and Wilderness conservation. Furthermore, its purpose was to formulate concrete steps to develop nature tourism in Slovakia. In the opening speech Aevis summarised what the main objectives of nature tourism are in the context of Slovakia. The focus was put on activities in natural areas that provide incentives for local communities and landowners to protect the areas of visitor interest. Speakers suggested that nature and tourism experts should aim for tight cooperation to face upcoming challenges and prioritise to-dos. Above all they must seek joint solutions to ensure that the benefits generated by nature tourism remain primarily in the region. Participants agreed, that educating people about nature tourism is no longer a matter of choice but a matter of necessity. The Šumava National Park in the Czech Republic has been for the past years offering visitors the products of nature tourism. 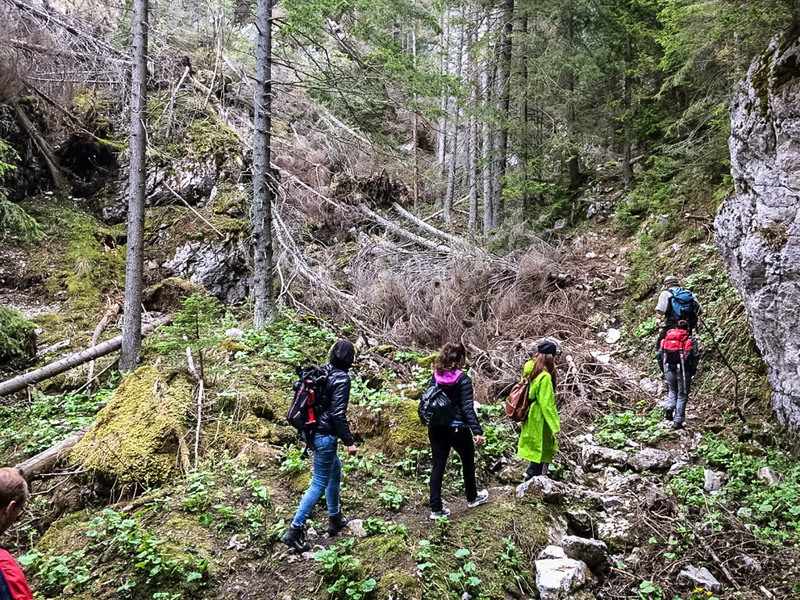 In cooperation with locals, the National Park provides guided tours with professionally trained guides coming directly from the Šumava region. They also offer visitors the possibility to stay overnight in the Park in seven different open-air locations under controlled conditions. As a result, figures show that the number of illegal overnight stays and entries into restricted areas dropped significantly. A clear guideline and proper education is a priority when it comes to bringing nature tourism into Wilderness. This guideline must be a priority when guides plan to bring visitors into Wilderness. Under this point, the European Wilderness Society presented the European Outdoor Ethics as a tool to monitor visitor pressure. This tool can carve a path to combine nature tourism and Wilderness. Moreover, it sets a system to experience the true essence of Wilderness while preventing and minimising human impact. These guidelines, coupled with defining a long-term investment strategy, visitor management techniques and infrastructure should be the way to effectively develop nature tourism in Slovakia.